According to The Daily Mail, Everton’s new director of football Marcel Brands is in Barcelona to continue transfer negotiations for defenders Yerry Mina and Lucas Digne. 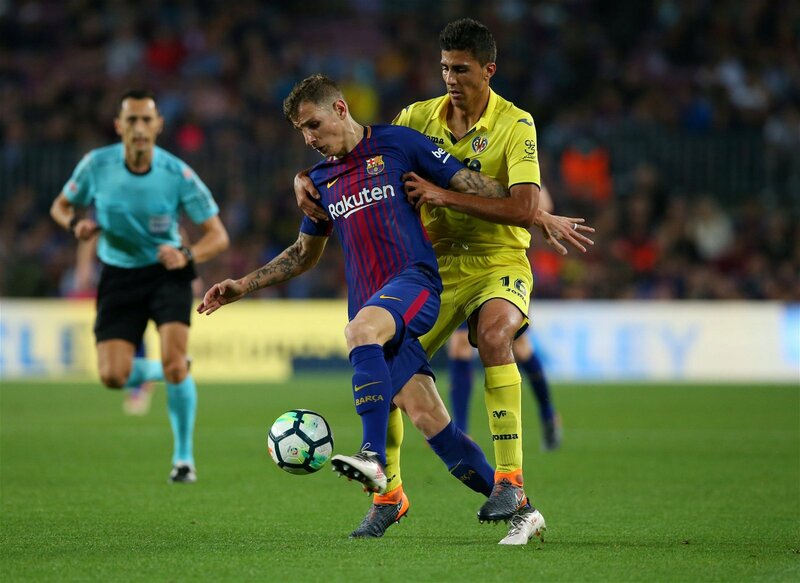 With new boss Marco Silva likely to play with three central defenders and then wing-backs on either flank, the Mail reports that forward-thinking Digne is seen as the Toffees’ long-term replacement to Leighton Baines. The 25-year-old is valued at £13.5m by Transfermarkt and has played 46 times for Barcelona, scoring two goals and providing three assists since his move from Paris Saint-Germain in the summer of 2016. Silva made his first signing of the summer recently, with Brazilian winger Richarlison arriving from Watford for an initial £40m. However, with Baines now 33-years-old a replacement for the Everton stalwart will be high on the new boss’s wish list. If Digne were to sign for the Merseyside club, he would surely come in as first choice at left wing-back with Baines acting as his deputy. This would mean that 22-year-old Brendan Galloway would surely be available for a loan deal to any willing clubs. West Brom boss Darren Moore currently has Kieran Gibbs as his only recognised left-back in his squad and a return to the Hawthorns, where Galloway spent time on loan during the 2016/17 season, could suit all parties. The Zimbabwe-born former England U21 international only featured five times under Tony Pulis in his time with the Baggies and also struggled for game time last season while on loan with Sunderland. However, if he can find the form he showed when breaking into the Everton team as a youngster he could be the perfect signing for Moore’s start to life in the Championship.